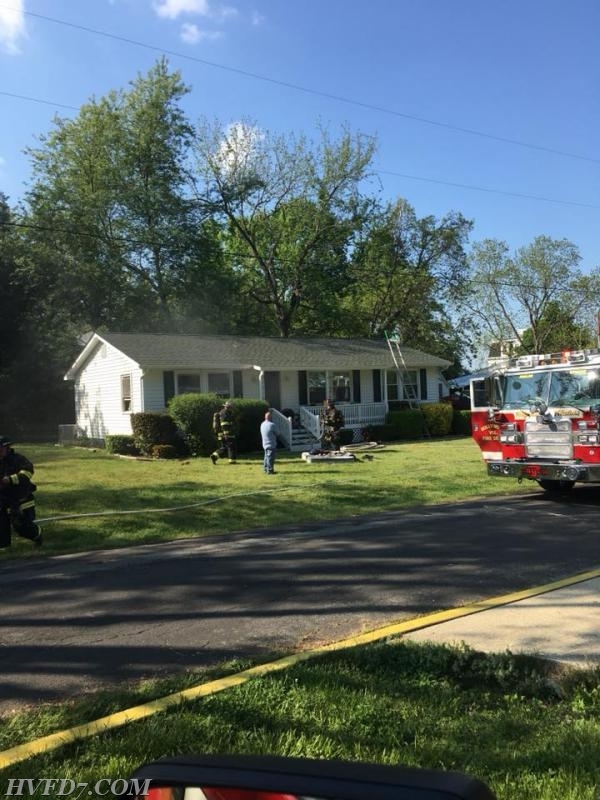 At 1634hrs Engine 7, Truck 7, Tanker 1, Engine 1, Engine 9, Tower 9, Tanker 2, Squad 2, Hughsville Tanker 2, and Water Supply 5 were dispatched for a reported house fire at 26417 Hillendale Rd. 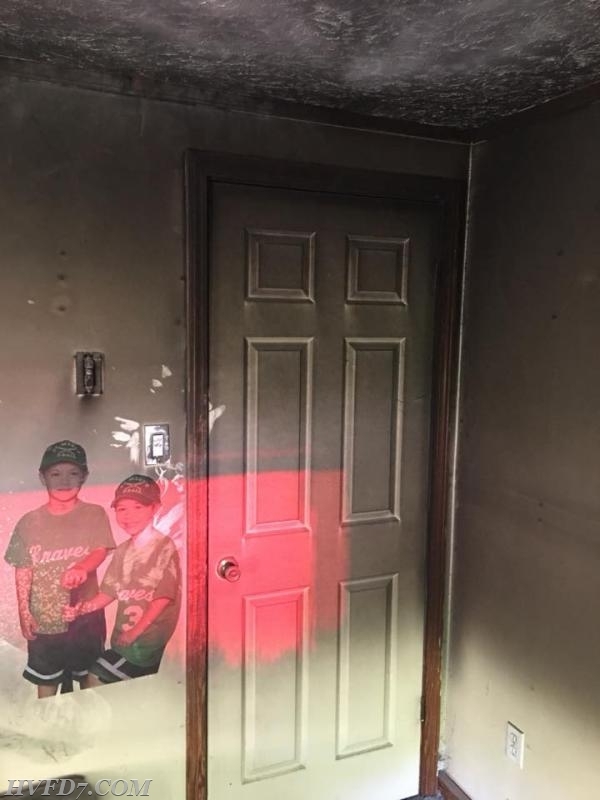 The caller reported a fire in one of the bedrooms. Engine 73, Truck 7, Tanker 74, Squad 7, Chief 7 and Chief 7A responded shortly after dispatch 15 volunteers. Chief 7 arrived to find a one story single family rambler with smoke showing side bravo. 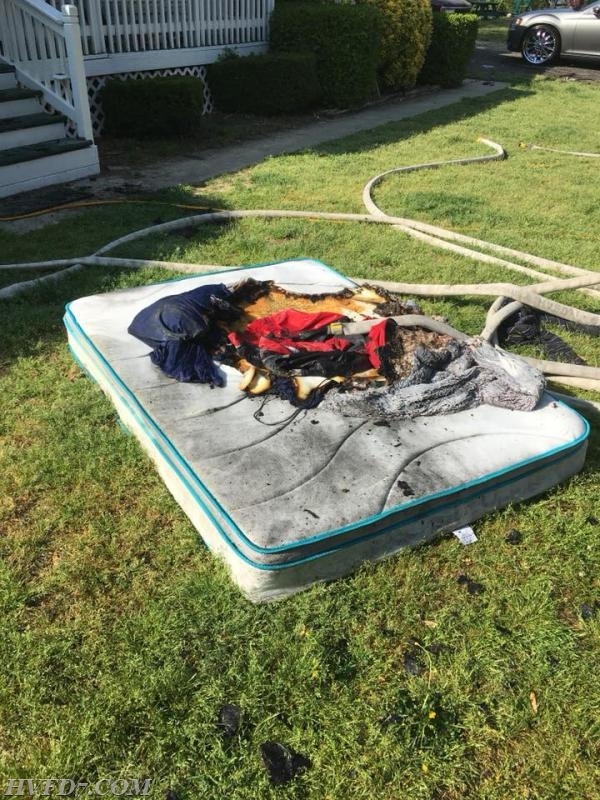 Engine 73, Truck 7, Tanker 74, Squad 7 and Chief 7A arrived to find a mattress on fire in a bedroom. Fire was quickly extinguished with no extension. Truck and Squad 7 ventilated the structure. The incident was then scaled back with units from Company 7 and A198. The cause of the fire was a cellular phone charging on the bed. 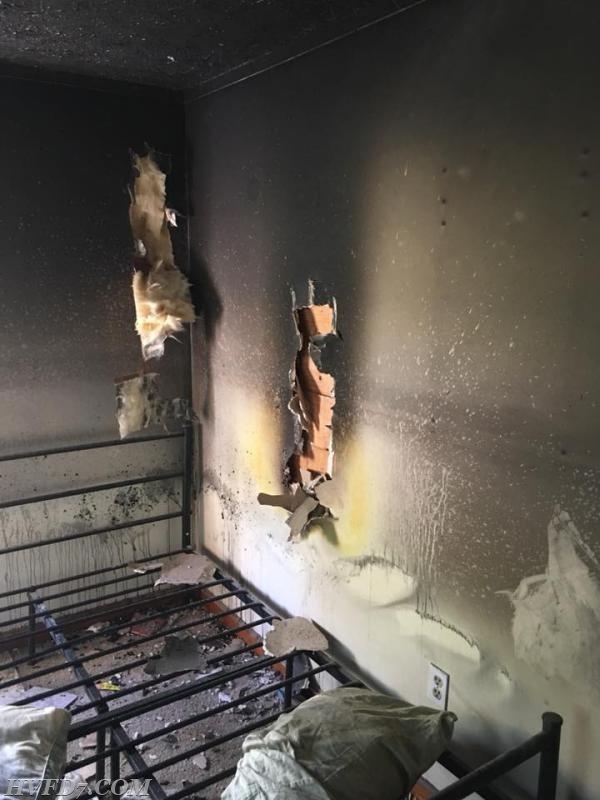 We ask that you do not leave your cell phone on your beds while charging. Place them on a counter or night stand. 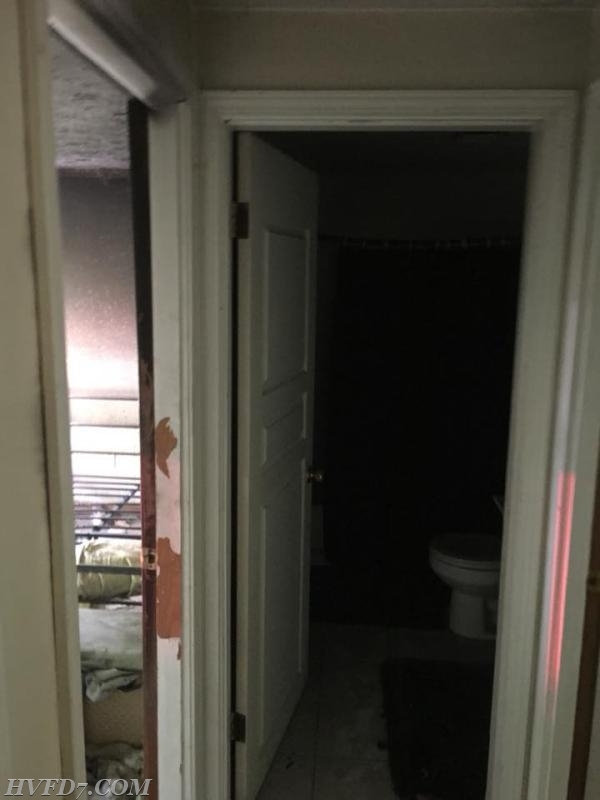 The photos show that closed bedroom doors will saves lives and property. 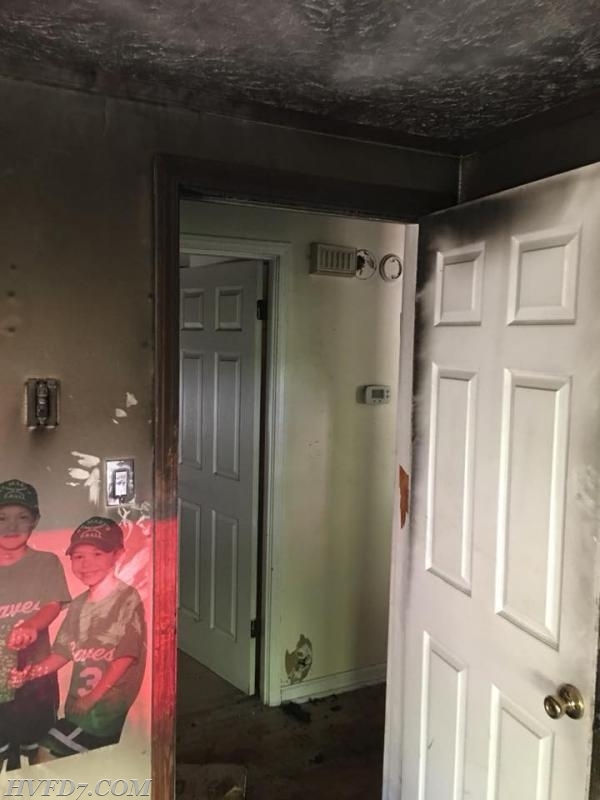 The fire and smoke damage was confined to the room of origin as a result of the closed bedroom door.